A U.S. district judge said Dallas could not impose pre-set bail amounts on poor defendants without individual consideration. Bail is a legal mechanism to ensure defendants show up to court hearings. Most jurisdictions in Texas and the country, including Dallas, rely primarily on a money bail system, where defendants can pay a bond amount set by a fixed schedule for their release. If they can't pay, they're often stuck in jail. Recently, civil rights lawyers and judges have targeted money bail systems nationwide. The civil rights groups that represent the plaintiffs in the Dallas County and Harris County lawsuits have sued cash-based bail systems all over the country. 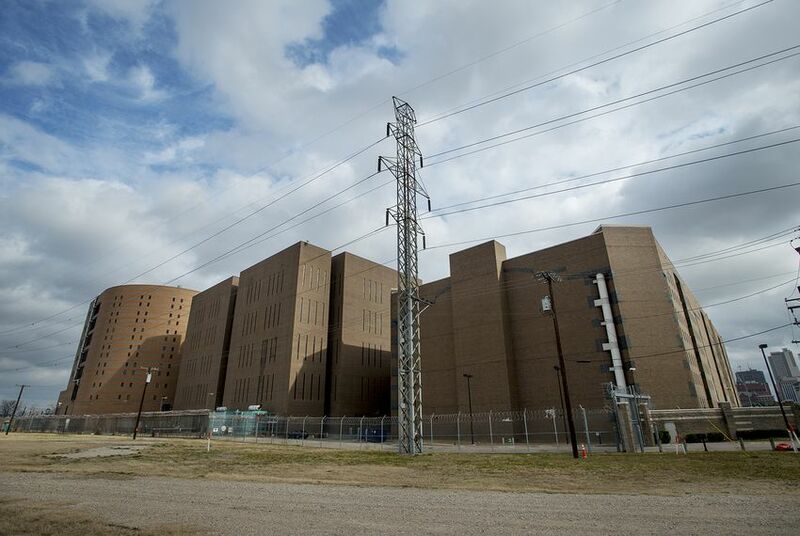 The groups got involved in Dallas in January, when they filed a lawsuit on behalf of several poor defendants in the Dallas County jail on the heels of a ruling in Harris County which has disrupted bail practices there. Harris County officials and the bail bonds industry have fought back, saying the recent lawsuits have sought "affordable bail," prioritizing a defendant's ability to pay a bail bond over public safety and the likelihood of skipped court dates. Godbey relied heavily on Harris County rulings from the federal district court and the appellate court. He said the cases had the "same roots" — despite Dallas' lawsuit also including felony defendants whereas Harris only involves those accused of misdemeanors — and concluded that doing anything other than what the appellate court ruled in Harris would "put the Court in direct conflict with binding precedent." "Broadly, those procedures include 'notice, an opportunity to be heard and submit evidence within 48 hours of arrest, and a reasoned decision by an impartial decision-maker,' he wrote, quoting the higher court's ruling. His ruling didn't go quite as far as the one by Houston's U.S. District Judge Lee Rosenthal, who had ordered that all misdemeanor defendants be released on a no-cost, sheriff-issued bond within 24 hours if they had not yet had their first hearing. That ruling has been walked back by the appellate court, which called for individual hearings within two days over immediate release after one. After arrest, Dallas defendants are scheduled for an arraignment hearing, where magistrate judges inform the arrestee of their charge and set conditions for release. The judges are allowed to either release individuals on a personal release bond — where the amount listed is only due if a court date is missed — but the “vast majority” are released on bonds that require payment up front, according to Godbey’s ruling. Videos of these hearings have shown that the interaction usually lasts about 15 to 30 seconds per person, with defendants simply standing up and the judge reading their charge and bond amount to them. This is despite a February change in policy that instructs the judges to consider a defendant’s ability to pay the bond amount. “Routine reliance on the schedules is still the policy of Dallas County,” Godbey wrote. In his attempt to change this, his temporary order requires that a defendant who is not released on an affordable bond must get a hearing within 48 hours of arrest with an individual assessment by an impartial authority. If the official does not lower the bail amount or set another condition of release, then he or she must provide a written explanation as to why, and the defendant will get a formal bail review hearing. There are some exceptions to this ruling, including defendants undergoing a mental health evaluation. “Finally, Dallas residents will see some change to their pretrial detention system, which everyone knows to be unconstitutional," said Trisha Trigilio, senior staff attorney for the ACLU of Texas, in an emailed statement after the ruling. "Within thirty days, judges will be required to hear people out about whether they can afford bail, and to give people reasons why they’re ordering high bail." Dallas County Judge Clay Jenkins said in a text message after the ruling that bail reform protects the civil rights of everyone and makes the community safer. After the suit was originally filed in January, he said the county had been working to improve the system. "Hopefully, today’s ruling will speed up the implementation of a race neutral risk assessment tool," Jenkins said Thursday, referring to a method of determining release based on risk of committing a new crime or missing court dates. "Other jurisdictions who are using these tools have experienced a significant drop in jail population as low risk defendants are released pending trial and high risk defendants (even those with access to money) are not."